Yesterday, I told you all about Molton Brown’s newest fragrance, Blossoming Honeysuckle & White Tea. If you want to treat your mother on Sunday, this is a fabulous option! I absolutely love the scent – it’s a very grown up floral which feels incredibly calming and soothing to use. If you’re going to pick up yesterday’s bath and shower gel (read about it here) you just have to pick up the matching Body Lotion. 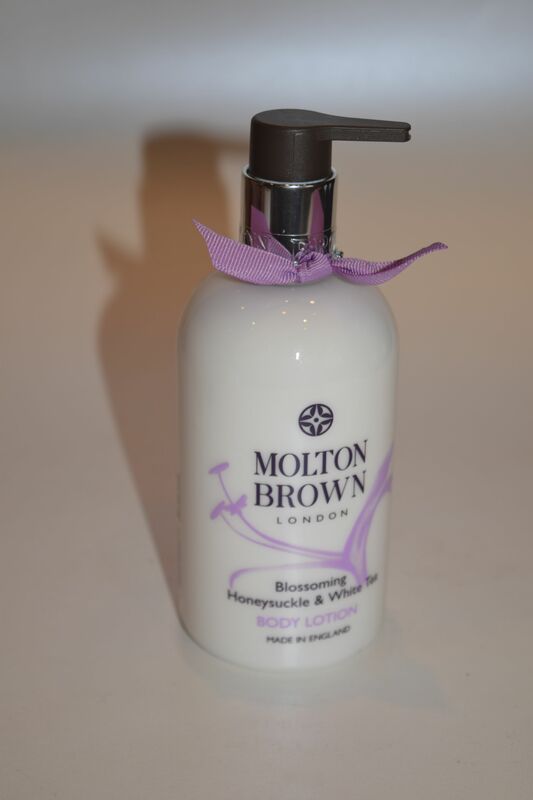 Packaged in Molton Brown’s signature packaging, complete with an adorable bow, this is such a lovely option for a daily moisturiser. 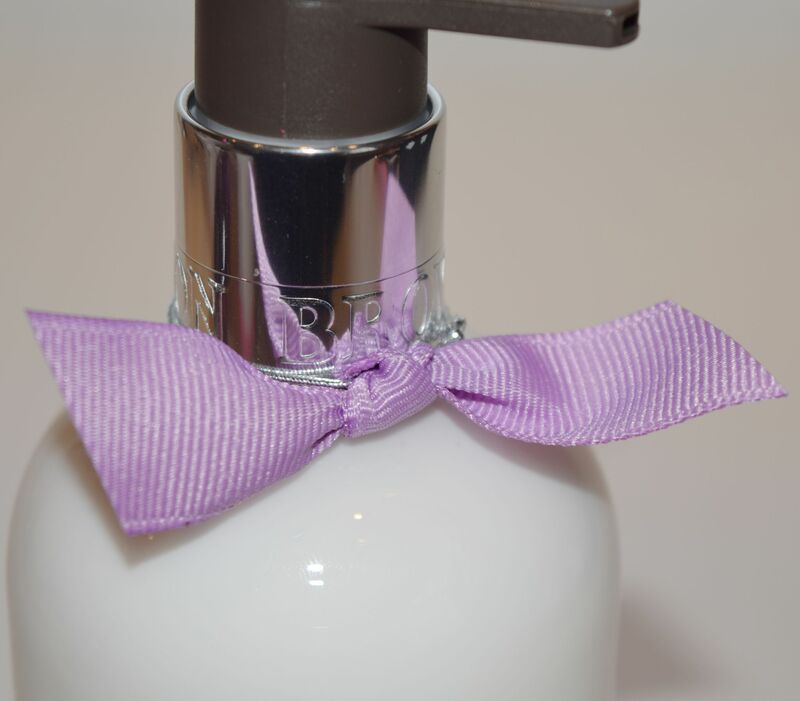 Not only does it look adorable out in the bathroom, the pump dispenser is perfect for easy application. The formula is light enough to use before putting on clothes, and it sinks in effortlessly. The scent has incredible longevity too! On days I’ve used the duo, I don’t even need to bother with perfume, because I can still smell my Molton Brown well into the afternoon.